Things have been a bit off-kilter lately. Not sure if it is because I have had this miserable cold, sinus, cough thing or maybe the stars are just aligning in a weird way. 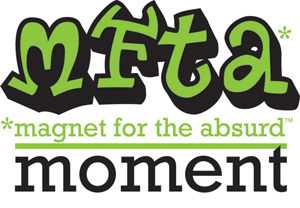 Yesterday was so damn crazy even I, the ever famous MFTA, was surprised. In my post Madison, flying with bad sinuses, I can hardly hear anymore stupor, I sat at my desk yesterday and started banging away at my list as if it were any other day. Of course my phones have not been working correctly since Verizon went on strike. A coincidence? I think not. For a couple of weeks I would get static and crossed lines, only from 1-5 PM. Yesterday they were pretty much unusable. There was constant static, calls dropping, lines crossing… pretty much a train wreck. So I used my cell and called it a day after Verizon finally gave me a repair date this week as opposed to the September 16th date they gave me last week. Him: (sort of looking behind me) Mrs. Levinson, are you ok? Me: Well, I have a bit of a cold and cough, but otherwise, I’m good. Why? Him: You dialed 911 and when we called back all we got was static. Me: Nope, not me. My phones are not working, all I have is static. Wait, did you guys think I dialed 911 and then my lines were cut? Yikes. Sorry, it appears my phones are randomly dialing out themselves! I sent them on their merry way, thanking them for their attentiveness and went back to work. Around 2:00 I was sitting at my desk when my chair started to vibrate. Hmmmm… nice feature but I don’t remember installing it. Then all the stuff on the bulletin board started to swing. I ran upstairs and the keychain lanyard was swinging on the hook. When I called Gary and told him I felt an earthquake he told me I was crazy and it was probably a big truck. Indeed. We’ll see who’s crazy!